A study conducted in 2010 found that 97 percent of consumers go online to find information about the businesses, services, and products they use. That figure only has only increased in the last six years, to the point where nearly everyone is consulting the internet on how to find the best info. As most consumers turn to the internet for research, having a broad online presence is crucial for maintaining a small business. We also know now that there is more than one way to build and maintain your online presence — that considered, which platforms are the most important to prioritize? Your Website. Consider your website “central intelligence” for your online presence. It’s where potential customers should be able to find all the information they need about your business, including services offered, contact info, social media info, and more. Directories & Portals. Listing your business on as many directories as you can — and making sure to include a link to your website — strengthens your online presence. Google, Bing, Yahoo, and more have online business directories. See the top 50 directories available to list your business here. Reviews. Think of reviews as user-generated content: It’s honest, organic feedback that tells the story of what your business can do. In terms of providing social proof to your business, reviews are the most important thing to manage and promote. Find out more about how. Online Advertising. Paying to advertise on Facebook, Google, or any other PPC (pay per click) can be cost-prohibitive, but in some instances, it’s a great way to boost your small business profile. SEO. It’s important to optimize your website (particularly your blog posts) so search engines will help people find you. Do your keyword research and set up your webpages using best SEO practices. 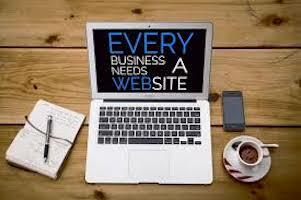 These are the top five things to consider when building a small business web presence. Next week, we’ll explore the pros and cons of two major small business platforms, Google and Facebook.